But now lives in a Theravada one. The differences between the two are apparent in the way they affect the curry: Curries in Mahayana countries are more refined, and curries in Theravada countries have deeper flavor; all are delicious. 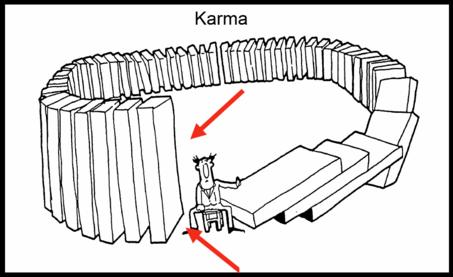 Of course, karma can crush you regardless of the flavor you choose.